EDUCATION MINISTER Ruairí Quinn has admitted that the government “got it wrong” in the way the student grants system was managed last year – but says he believes the Department of Education is fixing the mistakes made last year. Quinn told the Dáil today that a comprehensive report into the failings at Student Universal Support Ireland, SUSI, had identified a number of significant shortcomings in the way that grant applications were processed last year. “Did we get it wrong? Yes, we got it collectively wrong. Are we fixing it? I believe we are,” Quinn said this afternoon. We have it right now but I will not take my eye off the ball this year because of the reasons which the Deputy [FF's Charlie McConalogue] brought to my attention last year. 19,494 students who applied to SUSI for grants for the 2012-13 did not receive their first payment until into the New Year, while 2,200 applicants were still awaiting a final decision on their grant application as the college year ended. The delays in processing grant applications led to some students’ unions putting together food baskets for some members, whose cash difficulties left them struggling to afford food. SUSI’s workload is set to be even bigger next year, as its responsibility expands: for 2012-13 the body, managed by the City of Dublin VEC, was responsible only for applications from students in the first year of their course. Next year, it will cater to existing applicants as well as new First Years. Quinn said procedures were being put in place to allow SUSI to share information with the the Revenue Commissioners, the Department of Social Protection, the General Register Office and the Central Applications Office. This would minimise the number of sources which students had to approach to collect the data needed for their grant applications, he said, and therefore minimise the difficulty that students would have in submitting data. McConalogue welcomed the admission that the system had not been up to standard. “The recently published review of SUSI identified a delay in allocating the agreed number of staff as a problem which contributed to the delays. 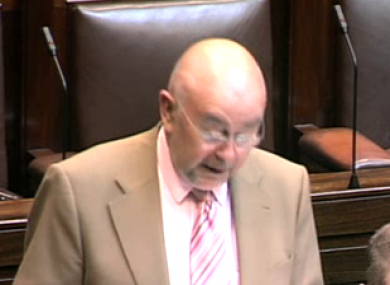 It is imperative that Minister Quinn ensures this is not repeated this year,” he said. Email “‘I won’t take my eye off the ball’: Quinn promises better SUSI system”. Feedback on “‘I won’t take my eye off the ball’: Quinn promises better SUSI system”.